Dr. Sergey Lyass always appreciates feedback from his valued patients. To date, we’re thrilled to have collected 51 reviews with an average rating of 4.96 out of 5 stars. 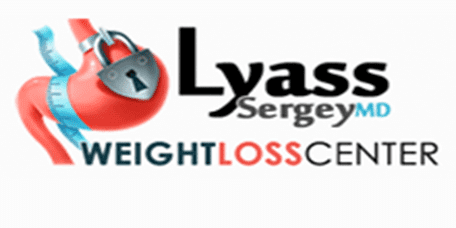 Please read what others are saying about Dr. Sergey Lyass below, and as always, we would love to collect your feedback. Dr. Lyass is the best he was very helpful and answered all my questions. Just as he explained surgery went well and my recovery as well. I will definitely recommend him to family and friends!! Staff was very helpful and professional as well. Dr. Lyass provided a thorough description of the procedure in advance. He did a great job. My name is Hamlet Karamyan, and I'm a patient of Dr. Lyass. I can't be more thankful than I am now, and it's all from Doctor Lyass. He changed my life in a whole another level and I couldn't be more happier. I used to be over 300 lbs and after my surgery with Dr. Lyass I lost more than 150 lbs, and untill this day I'ms still loosing weight. The change is unbelievable and I'm truly grateful. All my friends and relatives are amazed with the work you have done, I feel so much healthier, better and most importantly I'm confident with myself. Surgery went well, after surgery the recovery was so good, I had no pain I was already on my feet the next day. The doctor himself is a great person and a doctor, love the customer service and his work. Thank you so much once again. Amazing work! Helpful and very kind staff. Dr.Lyass did a great job i'm very happy with all that he did for me! Thank you staff and of course a big thank you to Dr. Lyas! Very helpful, efficient, and kind staff! whatever information he gave me was very thorough.thank you for the time you spent to educate me. you are much appreciated!! !